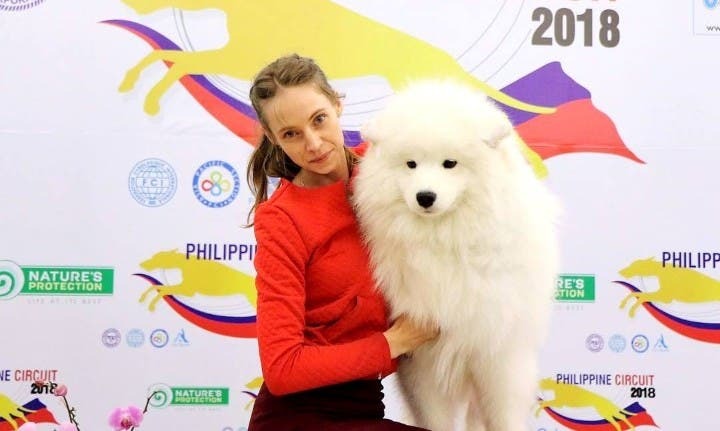 Ate Francia, whose real name is Danielle F. Barrientos, is a pet hero. She was the one who took charge of rescuing a poor pup that had been trapped at the Ayala underpass for days. She seems to have a sixth sense for discovering distressed pets, though. She got in touch with us, informing us that she had discovered another trapped poor dog, this time on the Balintawak Market center island. She is willing to do another rescue but she needs someone to step up to foster the poor dog. She simply has no space in her home for another rescue. Ate Francia is also just a simple person with plenty of compassion but little funds. She is appealing for help. Please open your home to the Balintawak pup. Or share this story and tag friends so Ate Francia’s appeal can reach the right person. This is urgent as the dog is very thin already and in danger of starving to death, getting run over by a vehicle, or impounded. If you are that person, please get in touch with Ate Francia immediately at 0908 334 7897!